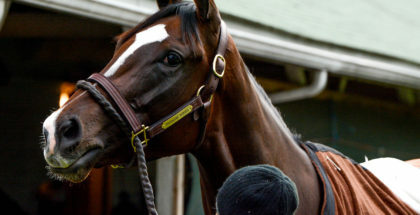 Though the Breeders’ Cup Challenge “Win & You’re In” series is taking a brief respite this weekend, that’s not to say that the World Championships won’t be front and center, especially at Parx Racing in Pennsylvania where a rich 13-race card with more than $2.55 million in stakes purses is being offered. 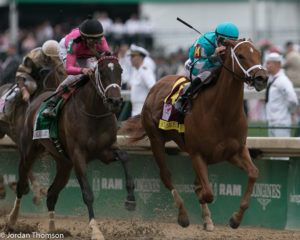 In addition to the $1 million Pennsylvania Derby (GI), which is the last significant Derby of the year, sophomore fillies get their last major chance to shine in their own division in the $1 million Cotillion Stakes (GI), which has been set as the day’s 10th race. Saturday’s weather in Bensalem, about a 30 minute drive northeast of Philadelphia, is expected to be perfect, with highs in the mid-70s under partly cloudy skies. So, it’s safe to expect fast and firm track conditions all day. The Cotillion Stakes was first contested nearly 50 years ago and earned legitimacy from the start, thanks to the presence of eventual Hall of Famer Shuvee, who at the time of her victory in 1969, went into the race as the second-ever filly Triple Crown winner (consisting of the Acorn Stakes, Mother Goose Stakes and Coaching Club American Oaks). Since then, a slew of stars have added the Cotillion to their resumes. 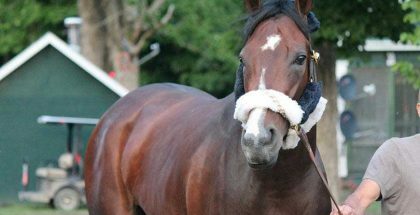 Fellow Hall of Famer Susan’s Girl won for renowned owner/breeder Fred W. Hooper in 1972 and was followed by My Juliet, Revidere, Sugar and Spice, Jacody, Clear Mandate, Lu Ravi, Jostle, Ashado, Havre de Grace, My Miss Aurelia, Close Hatches, Untapable, Songbird and It Tiz Well a year ago. This year, some of the best fillies in the division are expected to race the 8 ½ furlongs, including the top-three finishers in the Kentucky Oaks (GI) (one is a dual Canadian classic winner), and several other notable names — all trying to make a case for their appearance in the Nov. 3 Breeders’ Cup Distaff (GI). 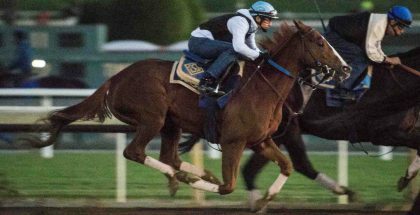 Monomoy Girl is arguably the best female in training — certainly the best 3-year-old filly — and makes a return to action for the first time since her three-length romp in the Coaching Club American Oaks (GI) nearly two months ago. While her figures for that effort aren’t as high as those she’s earned in the past, she really didn’t appear to need more than what she gave, clearly showing she has reserves in her tank should she be challenged more here. 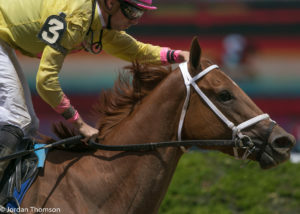 True, Saturday’s distance isn’t exactly her best and may be a bit short (her only defeat was at 1 1/16 miles in the Golden Rod Stakes after a somewhat bumpy trip), but she has two victories from three tries and is a four-time winner at a mile. She returns to face the toughest competitors from her past in Wonder Gadot and Midnight Bisou, but she’s an improved, more mature Monomoy Girl and jockey Florent Geroux knows her well enough to know if she should set the pace or sit behind it. She’ll be bet — heavily — but she will be tough to beat. The experiment to try Wonder Gadot against the boys in the Travers Stakes (GI) failed and she finished last, but probably not because she was last in ability. When jockey Irad Ortiz knew a victory or top finish wasn’t possible, he did the right thing and didn’t push her, allowing her to cross the line on her own and giving her a well-deserved and well-publicized pat in the process. Now back against girls, she certainly figures to fare better here. Gary Barber’s daughter of Medaglia d’Oro has a win at this distance, though she also may prefer more ground. Also, despite posting an earlier gate-to-wire victory, her weapon is that she can be placed in nearly any spot and be effective depending on early pace. 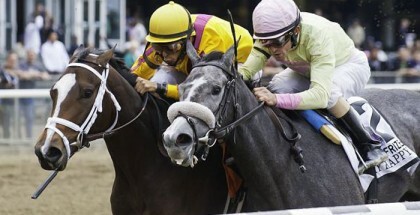 She’s been training well at Saratoga all month, gets Hall of Famer John Velazquez back aboard and figures to rebound. Midnight Bisou won all the Kentucky Oaks preps in California for trainer Bill Spawr before being switched to Steve Asmussen’s care for a summer campaign and she rewarded with a win in the Mother Goose, a second to Monomoy Girl in the Coaching Club American Oaks and then a third last out in the Alabama Stakes (GI) after a very wide trip. This distance suits her perfectly (no losses in three starts) and she has a nice, come-from-behind style to fit the expected quick pace here. 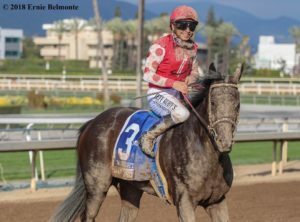 If she runs her race, her figures suggest a win is in her reach and regular rider Mike Smith will be aboard again looking for his fourth win in this race. Separationofpowers hails from the red-hot Chad Brown barn and is coming off a stunning win in the Test Stakes (GI) six weeks ago. The daughter of Candy Ride seems to have trouble around two turns, but her numbers suggest she could certainly be tough enough for a piece. She’s been working well at Belmont Park. Fair Grounds Oaks (GII) heroine and former claimer Chocolate Martini has earned a couple of decent thirds in graded stakes company and, with her best performance, could pick up some pieces. Dixie Serenade won the Victory Ride Stakes (GIII) at Belmont Park in July, but finds an awfully ambitious spot to stretch out around two turns for the first time. Former claimer Jump Ruler has been successful in starter allowance and optional claiming company and has certainly been improving, but a top finish is a lot to ask of this daughter of Roman Ruler. Norma’s Charm only owns a maiden win and appears significantly overmatched here.